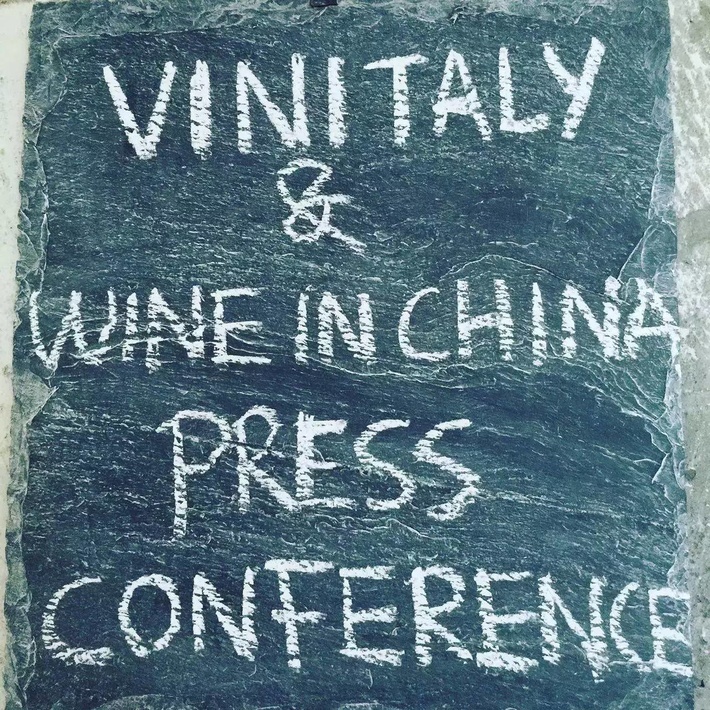 Vinitaly and Wine in China Magazine have held the press conference “Silk Road: a remake in the works”. First Debut of Chinese Wines at the 50th Anniversary of Vinitaly, to announce their cooperation in showcasing Chinese wines during Vinitaly 2016. Chinese wines will also be showcased at the Vininternational Pavilion. This is a clear sign that China is gradually being treated by the world as a wine producing country, a sing of our times. The Chinese wines will be presented during the Wine Award organized each year by Vinitaly. For the 2016 edition the Award will be undergoing a series of exciting changes that will be unveiled on the occasion of wine2wine (2-3 December 2015). Moreover, Vinitaly attendees will also have the chance to taste and better understand Chinese wines during different workshops and seminars. Veronafiere is the leading organizer of trade shows in Italy including Vinitaly (http://www.vinitaly.com), the largest wine and spirits fair in the world. During its 49th edition Vinitaly counted some 4.000 exhibitors on a 100.000 square meter area and 150.000 visitors including more than 2.600 journalists from 46 different countries. The next edition of the fair will take place on 10 - 13 April 2016. The premier event to Vinitaly, OperaWine (http://www.vinitalyinternational.com) “Finest Italian Wines: 100 Great Producers,” will unite international wine professionals on April 9th in the heart of Verona, offering them the unique opportunity to discover and taste the wines of the 100 Best Italian Producers, as selected by Wine Spectator. Since 1998 Vinitaly International travels to several countries such as Russia, Greater China, USA thanks to its strategic arm abroad, Vinitaly International. In February 2014 Vinitaly International launched an educational project, the Vinitaly International Academy (VIA) with the aim of divulging and broadcasting the excellence and diversity of Italian wine around the globe. VIA has now also created its very first Certification Course with the aim of creating new Ambassadors of Italian Wine in the World. Wine in China is a magazine about “Wine and Life Culture”. It has won the “World Best Magazine” from Gourmand Cookbook Award, Paris in 2010. Wine in China magazine is led by China Science Society and China Agricultural University. Wine in China also focuses on the Chinese wine industry and promotes the recognition of Chinese Wines overseas. Wine in China invited seven MWs to be the judges for the “Chinese Wine Competition” and contributed to the participation of Chinese wines in International wine competitions. Wine in China worked with MW to organize Chinese wine seminars and tastings in Académie International du Vin, Society of Wine Educators Annual Conference 2015 and Asia Wine Buyers Conference in Switzerland, US and Korea.